I've noticed a theme with the rap scene this year; we get titles which technically do appear in the song, but don't seem to be the obvious one to go for. So in this way, "The Game" fits right in with "Knee Length Socks", "Rattling The Keys To The Kingdom", "Dear Science" and the like. 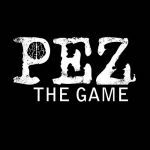 Considering how long Pez has been out of the err, business for a while, it's interesting how quickly and easily he's been accepted back. Although I suppose this song is sufficiently catchy enough to explain this. Peaked at #99 in Australia, 2012. Actually this is pretty good.